Lavender—what’s not to love? You can eat it, drink it, take a bath with it or simply bask in its heavenly scent. As summer kicks in, Blooming Hill Lavender Farm near Philomont is a gorgeous sea of purple. The farm celebrates its third annual Lavender Festival June 9-10 featuring demonstrations, vendors, local wine and mead and lots and lots of lavender. “It was a passion that turned into a hobby that turned into a business,” said Cyndie Rinek, who owns Blooming Hill with her husband Peter, a landscape architect. It all started with a purple house in Maryland. Decades ago, the Rineks were restoring a Victorian home in Silver Spring and got a slightly inaccurate paint chart for their project. Peter’s mother, a horticulturalist, suggested growing lavender to complement the house, and Rinek ordered her first six plants from the back of a Parade magazine. 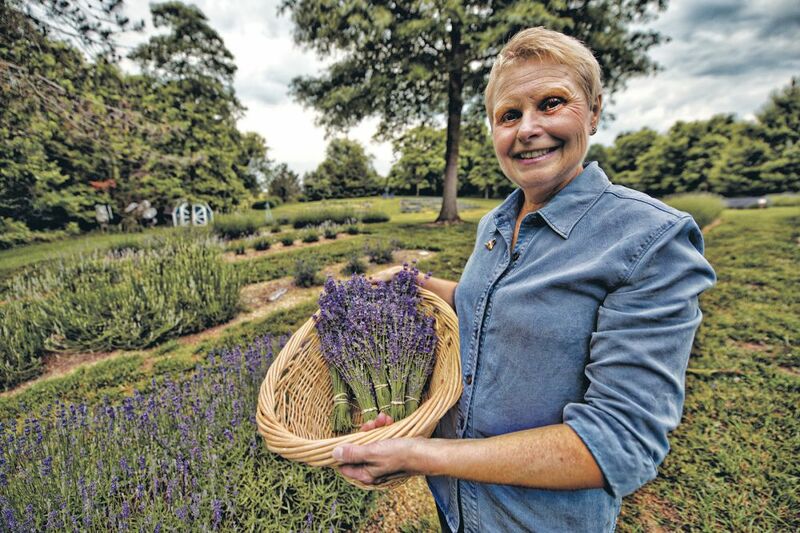 Rinek’s passion for lavender took off, inspired by the late Tom DeBaggio, the author and herb guru whose south Loudoun nursery was a Northern Virginia institution. The Rineks moved to the Philomont area 23 years ago, looking for open space and more room to garden. Cyndie Rinek left her job as a clothing buyer for a national retailer to focus on her young son and new home. Rinek joined the informal western Loudoun garden club known as the Night Bloomers and connected with her friend and frequent collaborator Kim Labash of Loudoun Valley Herbs. Rinek developed a following through her presence at festivals like the Bluemont Fair, Leesburg Flower and Garden Festival and the Virginia State Arboretum Garden Fair. Cyndie Rinek owns the Blooming Hill Lavender Farm, a niche agro-tourism business near Philomont. 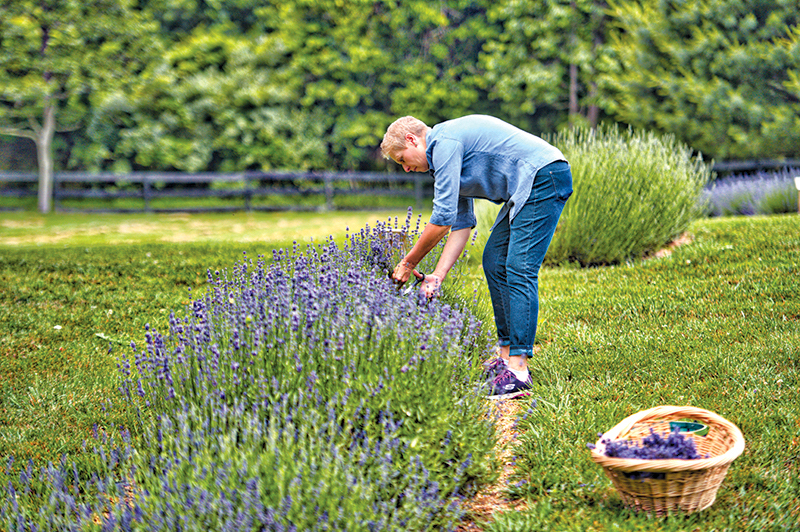 The farm has become a sought-after destination as interest in using lavender in recipes—from cocktails to desserts—has grown. In 2010, at the urging of friends, neighbors and family, Rinek decided to take things to the next level and open the farm as a business. She and Peter built a small garden shop on the property and have scaled up their plantings over the years. Rinek now has 1,000 plants in the ground from 98 different varieties and has a devoted clientele, selling live plants, dried lavender, specially blended teas, handmade soaps and other lavender-based products. During blooming season in June and July visitors can cut by the stem for flower arrangements, and lavender is increasingly popular with brides, Rinek said. Having a landscape architect for a spouse is a big bonus. Peter still works full time and helps at the farm evenings and weekends, and the couple made the decision to open to the public Fridays and Saturdays, leaving Sundays for downtime. On a sunny June day, the “farmlet” as Rinke calls it, is stunning in its early summer glory, and the smell is worth a visit on its own. 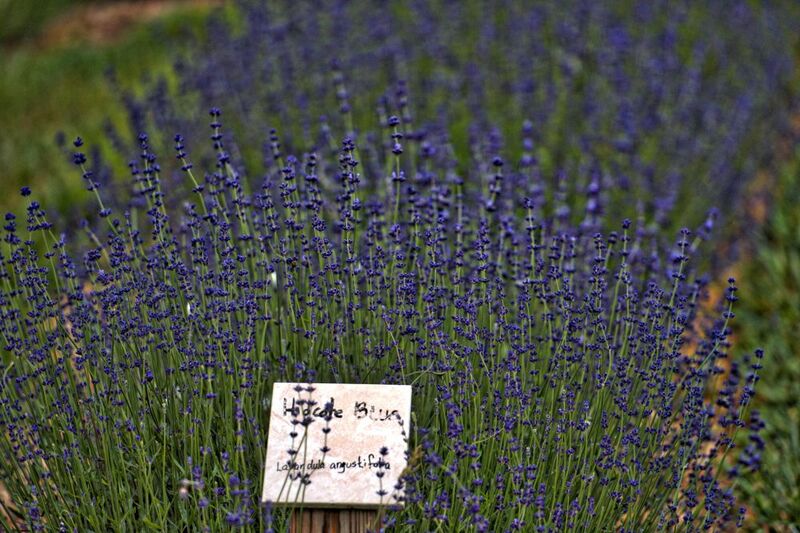 Rinek is also a sucker for the fabulous names given to lavender varieties—like Miss Catherine, Mayette, Buena Vista, and the fragrant French Perfume. Around 20 percent of her fields are two “tried and true” varieties in this area: Hidcote Blue and the Grosso hybrid. As with most agricultural enterprises, there’s a certain element of trial and error. Some varieties thrive while others struggle. 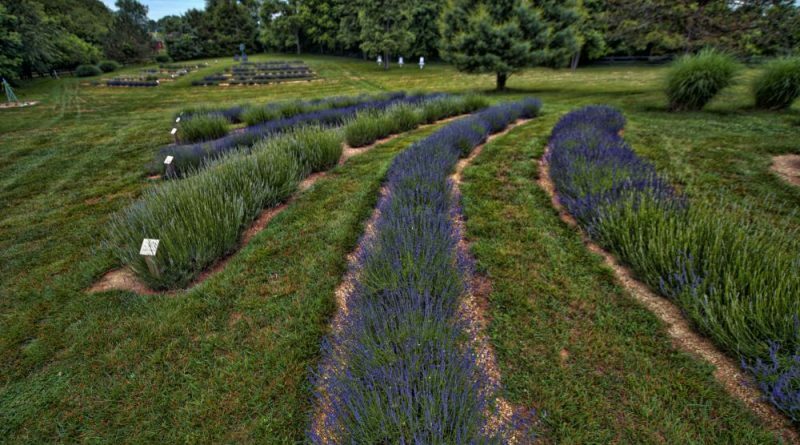 Lavender likes loose, rocky, well-draining soil, Rinek said, and Loudoun’s rich soil can be a little dense. Rinek conditions the soil with lime to help break it up and make it “sweeter,” or more alkaline. And her advice to home gardeners is to stay relatively hands-off. A big part of the farm’s popularity, she says, is a growing interest in lavender in the kitchen. Culinary lavender is hot—in lemonade, cocktails, ice cream and baking. Rinek makes homemade ice cream in an industrial kitchen and partners with Loudoun-based Green Alchemy Herb and Mercantile to make specially blended lavender teas. 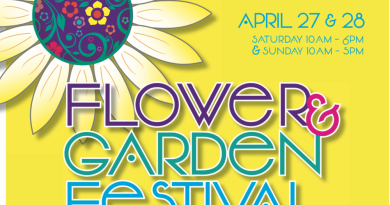 Rinek will serve tea and Kim Labash’s scones at this weekend’s festival. The farm opens for public teas during the spring and fall Loudoun Farm Tours, Mother’s Day and around Christmas and regularly hosts small teas during the week by appointment for garden and book clubs. For Kellie Hinkle, agricultural development officer at the Loudoun County Economic Development office, small farms like Blooming Hill are a key part of Loudoun’s thriving agro-tourism economy. While Loudoun is getting a reputation for its winery and brewery scene, niche operations in other areas are a perfect complement for visitors, Hinkle said. A recent statewide survey identified 182 agro-tourism businesses in Loudoun, with only around 30 percent related to craft beverages. Rinek expects between 700 and 1,000 visitors for the two-day festival this weekend, and it’s sure to be a feast for the eyes—and the nose. The Blooming Hill Lavender festival takes place Friday, June 9, and Saturday, June 10, from 10 a.m.to 5 p.m. at Blooming Hill Lavender Farm, 19929 Telegraph Springs Road, Purcellville. Parking is $5 and optional tea is $15 per person. The farm is open to the public Fridays and Saturdays from 10 a.m. to 5 p.m., mid-April through mid-December and by appointment for groups. Peak season for picking stems runs from mid-June through the end of July. For more information, go to bloominghillva.com.